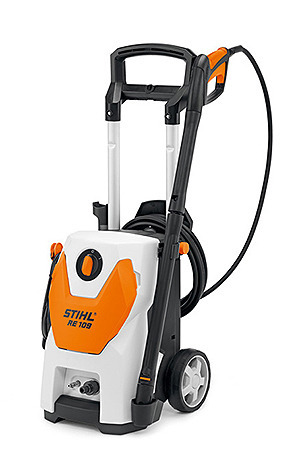 High Pressure Cleaners - Even more user friendly around the home, in the garden or on the car, garden furniture or Patios the new series Stihl high pressure cleaners are designed to be versatile. It produces top class results on cleaning jobs. 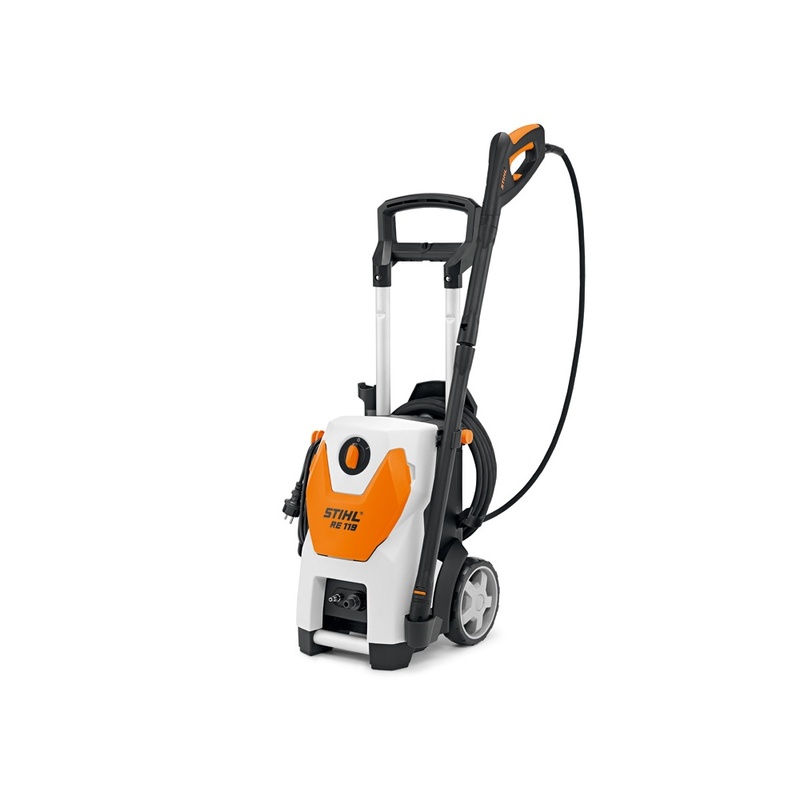 Great for private users who value quality and functionality will be impressed right away by this handy compact high pressure cleaner. Excellent performance, superb versatility and transportability. Offers the same smart features as the RE 119, and has a high quality internal 3-piston axial pump for a longer wear life. 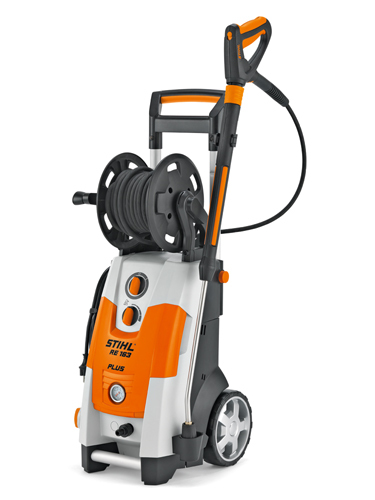 Cold water high pressure cleaner, equipped with aluminium telescopic handle, nozzle and accessory storage. Lower carrying handle for easy loading. 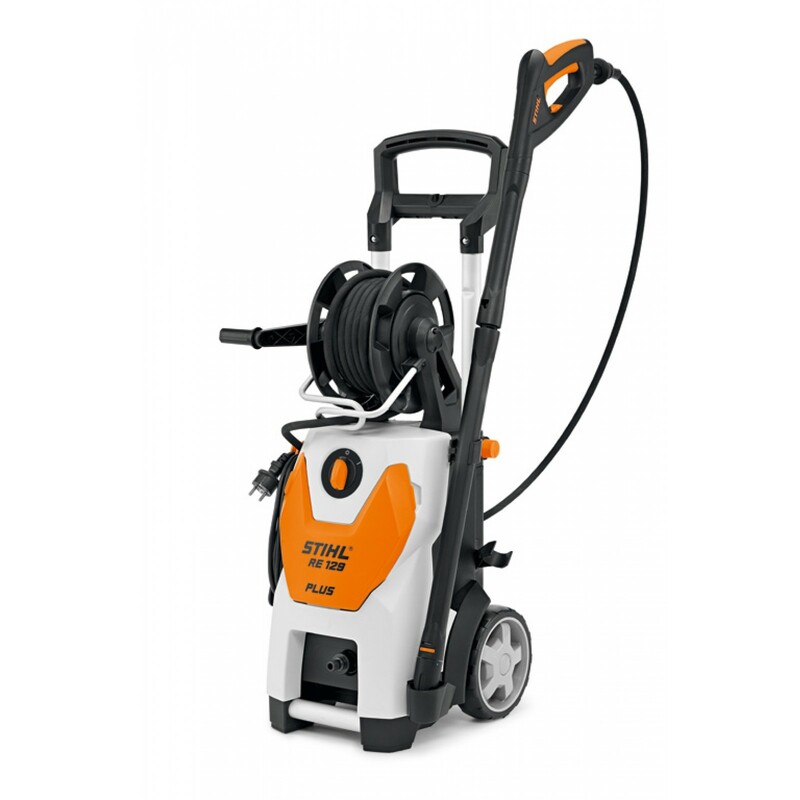 With integrated hose reel, swivel power cable holder, steel reinforced hose, transport cart, rotary and flat jet nozzles, cleaning agent spray set. The RE163 PLUS offers excellent performance and now supplied standard with a very handy hose winder for a tidy work area. 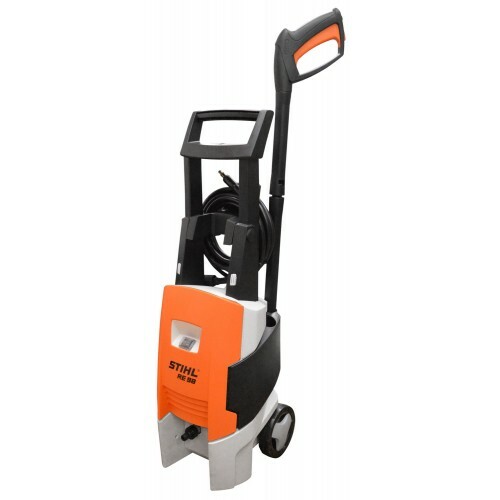 You can even operate it without unwinding the hose. Internally it has a high quality induction motor and pump with ceramic coated stainless steel pistons for a longer wear life.The power is automatically cut out when not in use to save electricity and wearing parts.